HE'S TOO YOUNG FOR THIS! I could wax poetic and try to find some elegant words but frankly, I'm just too damn angry and sad. THIS IS NOT OK! I had the opportunity to be a small part of Shawn Felty's very BIG and WONDERFUL life and have the privilege to call him a friend and teammate. I hardly feel like I can pull together the words to describe Shawn. Shawn was the guy who knew everybody and who everybody liked. He was the "glue" that bonded people together who would probably never have met otherwise. He was ENTHUSIASTIC, ENERGETIC and SO IN LOVE WITH LIFE. (and PITT ALUMNI Baseball - LOL) He was a downright SPORTS FAN and was set on maintaining his fitness no matter what was going on with his health and that is what brought him my way. Shawn was also ROLE MODEL and SPOKESMAN for Colon Cancer Awareness from the moment he was diagnosed. In 2008 at the Scope it Out 5K in Washington, D.C. Shawn encouraged his friends to come out with him and join Team NEVER FELT BETTER and ended up fielding the TOP FUNDRAISING TEAM in the event and the team placed 3rd Overall and Shawn walked the 5K event in 65:33. 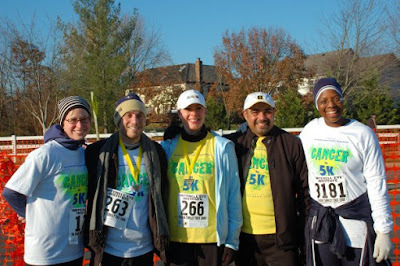 In Fall 2008, Shawn joined CANCER to 5K to train with us. He was still in the midst of active chemotherapy but he was also still VERY ACTIVE with his Alumni Baseball Team and joined our group to help him regain and maintain his fitness. In November 2008, Shawn, along with the rest of the CANCER to 5K Fall 2008 Team, earned his CANCER to 5K Medal at the VA RUN Turkey Trot in a time of 36:56. While the competitor in Shawn was a little disappointed in his finishing time, he was still might proud of his accomplishment and celebrated by completing his chemo just a few weeks later. Jessica T., Shawn F., Katy S., Denny C. and Andrea H. - post-race pride! In Fall 2008 when I first met Shawn, after he had joined the CANCER to 5K team, he told me about a calendar that he was hoping to be part of - the ColonClubs "COLONDAR" which featured young adult colon cancer survivors and their scars as a way to promote awareness and raise money and support for the Colon Club. Shawn's goal to be a part of the 2010 Colondar and to help raise awareness about Colon Cancer was a high priority to him and he really worked hard on putting on paper and in photographs, his story, hoping that he might be selected. I am happy to share that Shawn was selected to represent MAY for the 2010 Colondar. It is no exaggeration to say the experience of shooting and being in the 2010 Colondar was life-altering for him. 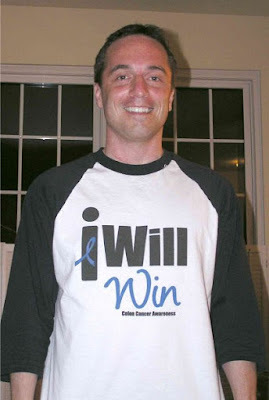 He made deep connections with some fellow colon cancer survivors that really changed the way he approached his survivorship and really stepped up and out from the role of cancer survivor to an active role as a colon cancer survivor and advocate. Yesterday, the world lost a wonderful man but in reaching out and being chosen as MR. MAY 2010 - Shawn will continue to impact the lives of current and future colon cancer survivors. Shawn, you will be so dearly missed. Rest in peace my friend. Thank you for showing us all how to LiveSTRONG and find joy and happiness in every single day. I saw your post on FB and went and looked him up. I had never met the man but after reading his write-up on the Colonder page and his blog I could tell he was truly an inspiration. I was in tears over a stranger. The world lost a role model. Sending hugs your way Holly! I'm so sorry to hear about your friend. What a beautiful man - you can tell by his videos how warm and open he was. It also sounds like he got a lot from Cancer to 5km. You should be proud of that. 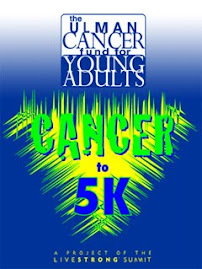 As you know, Shawn inspired me to volunteer for Cancer to 5K. I'm just heartbroken. I'll always run in his honor and remember how much being active meant to Shawn. I'll never take it for granted.... hugs to Cto5K teammates. You really captured what I feel about Shawn. He had this resilient energy to him that is so inspiring. Always smiling and I never heard him say anything negative. I too am saddened and angered to hear of another young, vital person leaving us far too soon. Rest now Shawn, we got this. I'm a wife, sister, proud aunt, graphic designer, Ironman & age-group triathlete, Melanoma cancer survivor, amateur photographer, 2x Bengal cat owner (or am I owned by Bengal cats??) 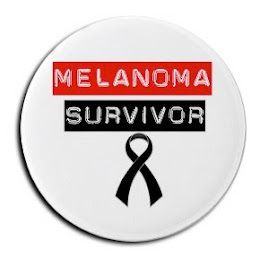 and I manage a running program for cancer survivors called CANCER_TO_5K (http://cancerto5k.com) I'm busy but I live my life to the fullest everyday! 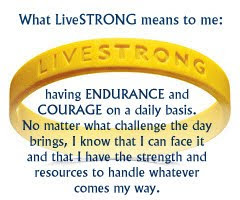 My Motto: LiveSTRONG!! !